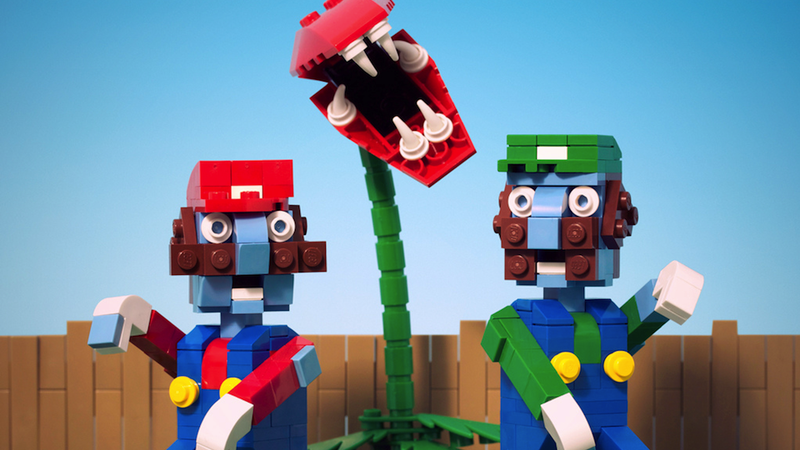 Illustrator and photographer Chris McVeigh is quite talented with LEGO. He's got a whole assortment of LEGO pieces photographed and presented all nice and pretty on his Flickr page, but this one might be my favorite. It's the two famous gaming plumbers—Mario and Luigi—and their infamous pipe-planted piranha plant in a pose reminiscent of Plants vs. Zombies. The design you see above is actually modeled after this t-shirt, just made all the more awesome with blocky LEGO design. See it in all its glory below, and don't forget to click to expand. For, uh, more glory.